Planning a road trip? 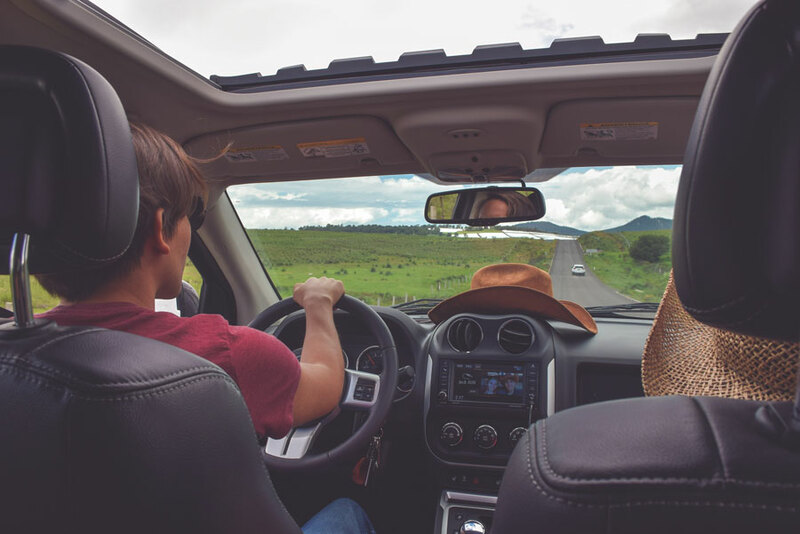 Whether you’re on an indefinite odyssey or you’re trying to pack a week of adventure into that Friday-to-Sunday weekend window, a few tips and tricks will help you make the most of your road trip. A proper road trip requires balance—you’ve got to drive along a paradoxical tightrope. You need both an overall plan and the ability to be spontaneous; you need healthy snacks and the occasional drive-thru double cheeseburger; you need podcasts that make you think and horrible Top 40 jams that make you sing. We’ve put more miles on our poor vehicles than we’d like to admit—but the result is an intimate understanding for life on the road, and what we believe to be worthwhile advice for anyone about to take off on a road trip. Don’t just pack the car willy-nilly. For the most part, it helps to think like a minimalist—don’t take three swimsuits when one will do, or four pairs of skis if you’re just going to get in a single day. At the same time, you’re packing a car, not a backpack, so you can afford to bring a few luxuries. French press? Why not. Camp chair? Definitely. Kitchen sink? Perhaps not. Most importantly, you want to pack the car tidily: it’s essential that you know where everything is at all times. 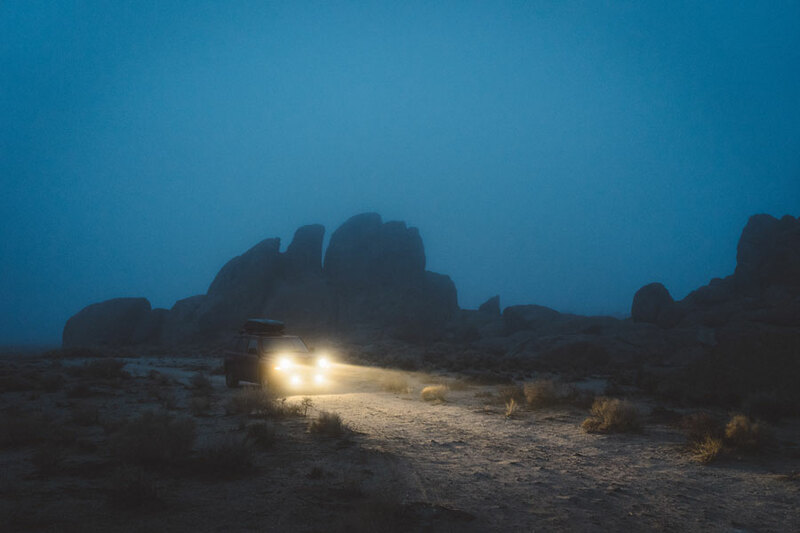 Nothing’s worse than hunting for your toothbrush with a headlamp while it’s dumping rain after a full day of driving—trust us, we’ve been there. While we’re all for taking off on a spontaneous trip, it does help to have an objective or two to magnetize your compass needle. Is there a national park you want to visit? A peak you want to climb? A beach you want to surf? Mark it on the map and set your course accordingly. As important as it is to have a destination in mind, being ready to take a spontaneous detour is even more integral to a memorable road trip. Some of the best times you’ll have on the road are when you, in a spur of the moment, whip a turn down a backroad, captivated by a faded sign that promises adventure. Nothing makes a road trip worse than a hangry driver—and in the same vein, nothing makes a road trip better than having snacks on deck for those long stretches of road devoid of tasty pit stops. Stock up on snacks (and coffee!) and keep on drivin’. You can’t live off of snacks, though—believe us, we’ve tried. Our advice? 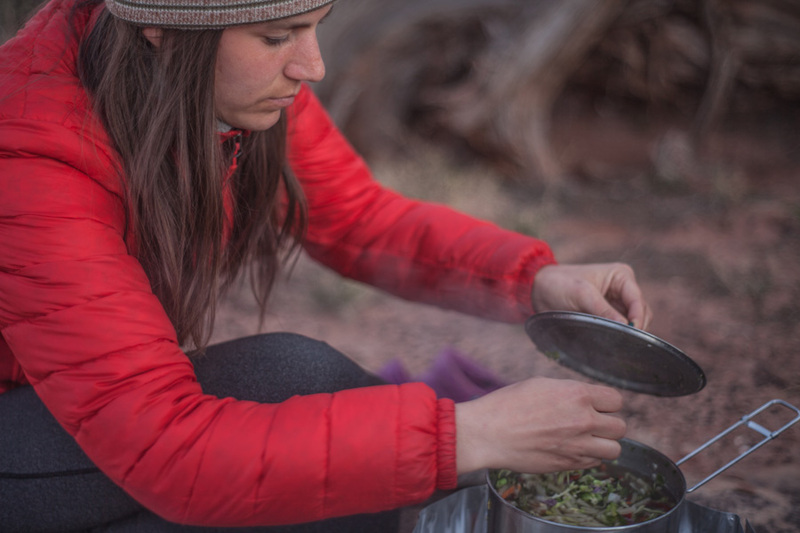 Pack a camp stove and bring more substantial food in a crate and cooler. Then you can stop at a scenic overlook, whip up a quick meal, and stay fueled up for the next chunk of driving. That being said, we’re also huge fans of storming a diner or stopping for a bite at a local hotspot before hopping back on the highway. Pro tip: bring your charger into the restaurant, so you can charge up your electronics while you charge up your body. Rituals and routines help you get in tune with the flow of the road. How do you like to start your mornings? A little bit of stretching? Some yoga? Coffee and an energy bar? Bacon and eggs? What about your evening ritual? Do you like to have one person set up camp while the other cooks? How do you handle cleaning dishes—do you bang it out right after dinner or wait until morning? 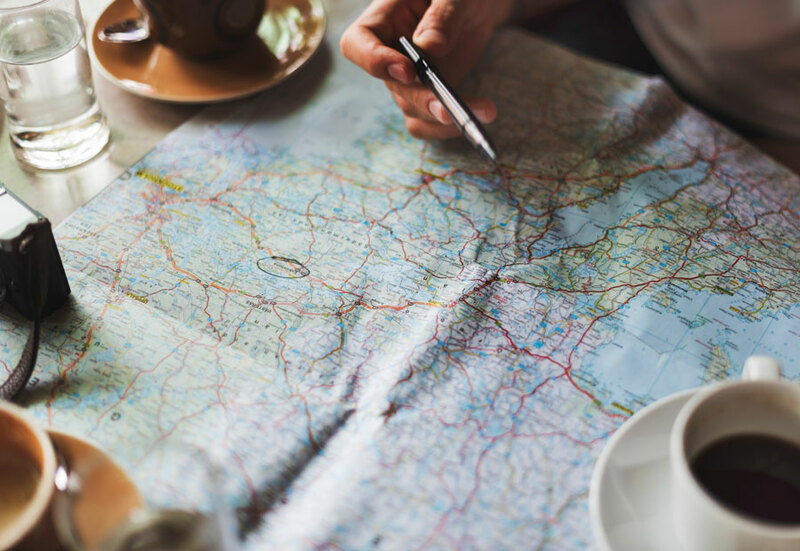 Figuring out these little nuances will keep you efficient and stress-free as you dive deeper into your travels. Driving in the dark is tough for some folks—if so, try to structure your days so that you aren’t forced to speed through the night. However, others thrive in hours after dusk and before the dawn, knowing that putting pedal to the metal and crushing miles in the dark enables them to make the most of that fleeting daylight. Being cognizant of sunrise and sunset and being true to your personal driving preferences further eliminates stress from the equation. Podcasts, music, books on tape, comedy specials—load up on a diverse selection of tunes and more to keep from pulling your hair out on lengthy drives. If there are multiple people in the car, make sure everyone gets a chance to play their favorite music. That said, establish a veto policy—if Gary wants to listen to the same country compilation CD the whole ride to Alaska, you should have a right to nix that. That’s what headphones are for, Gary. To sleep or not to sleep? That is the question! On crowded weekends, reserving a camping spot ahead of time is a smart move. Otherwise, be prepared to pull over and grab some rest when the need strikes. Keep your eye out for BLM land and other zones where free dispersed camping is kosher. 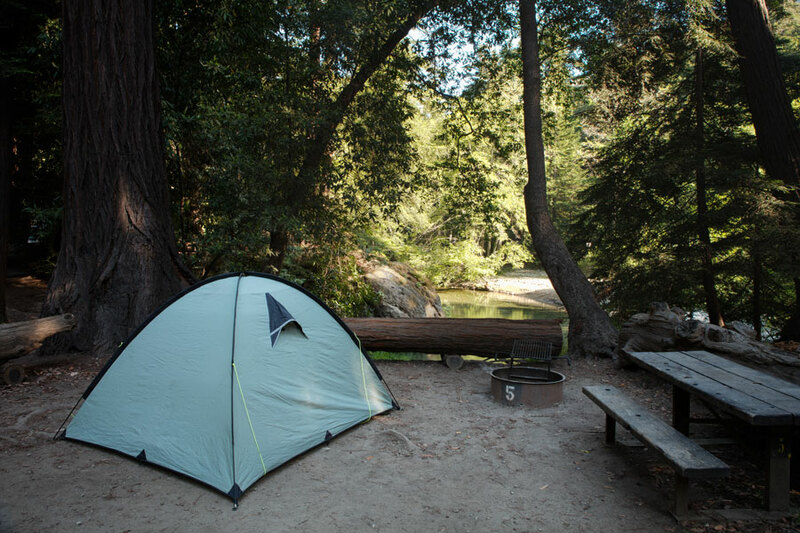 Have a couple camp sites in mind in case one is full. And know that worse comes to worst, you can pull over in the dark, crash for a few hours, and keep going. Better that than to crash—literally—because you couldn't find the perfect campsite.